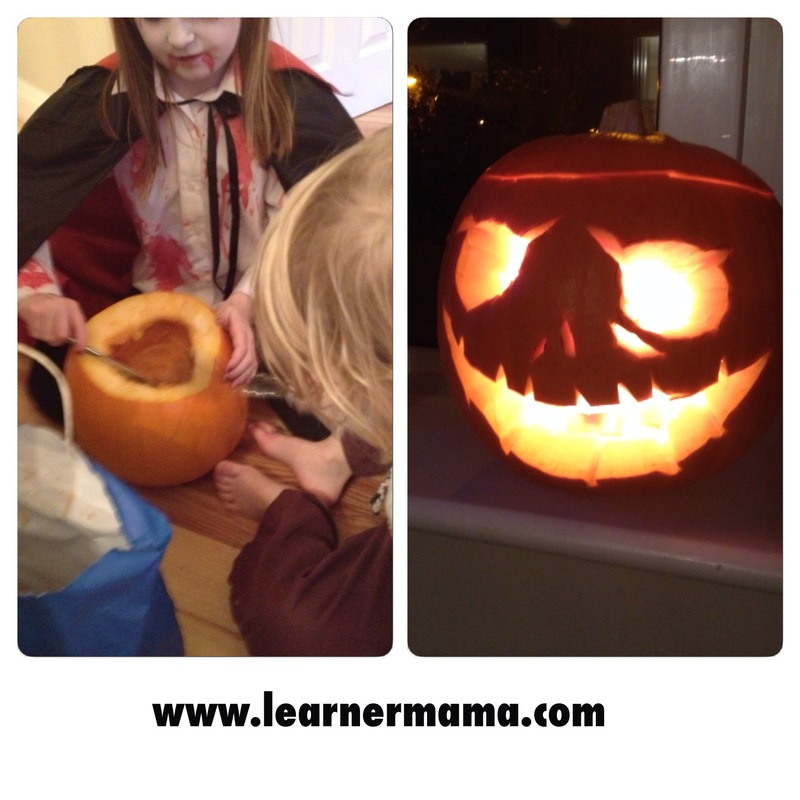 It’s mid-term break here at Learner Mama HQ. A week off school to entertain the kids. The hour has changed and so it’s dark early and the forecast is changeable at best. While the big focus of the week is dressing up on Friday night, I will be trying to keep them busy with some indoor activities. 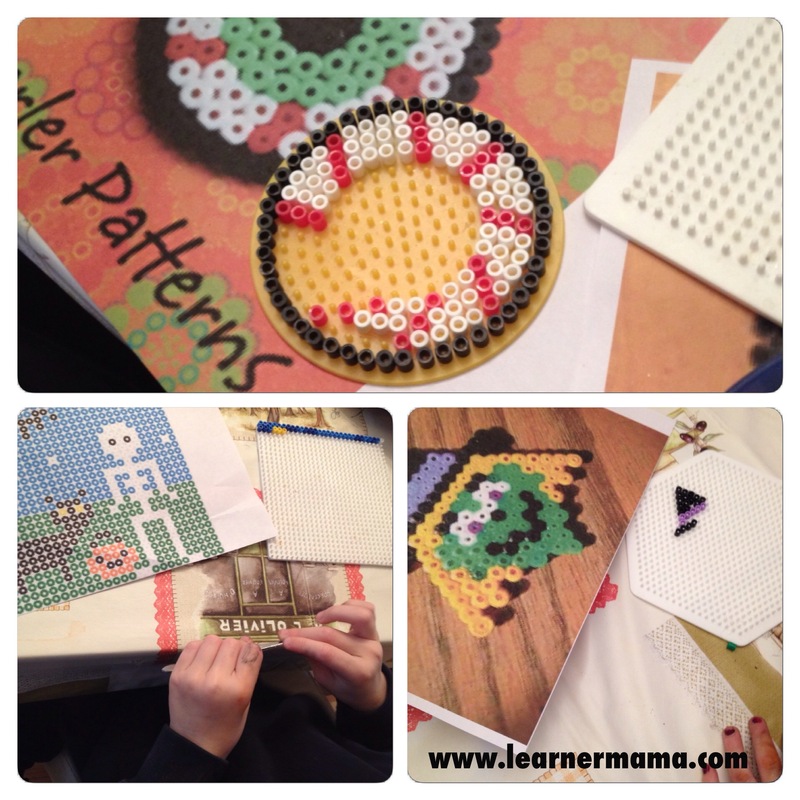 If you didn’t realise by now we love to play with Hama beads. They seem to always make their appearance at the various festivities throughout the year such as Christmas, St Patrick’s Day and Easter. If you have some beads handy, dig them out and get creative: ghosts, witches or anything scary to suit the Halloween mood. 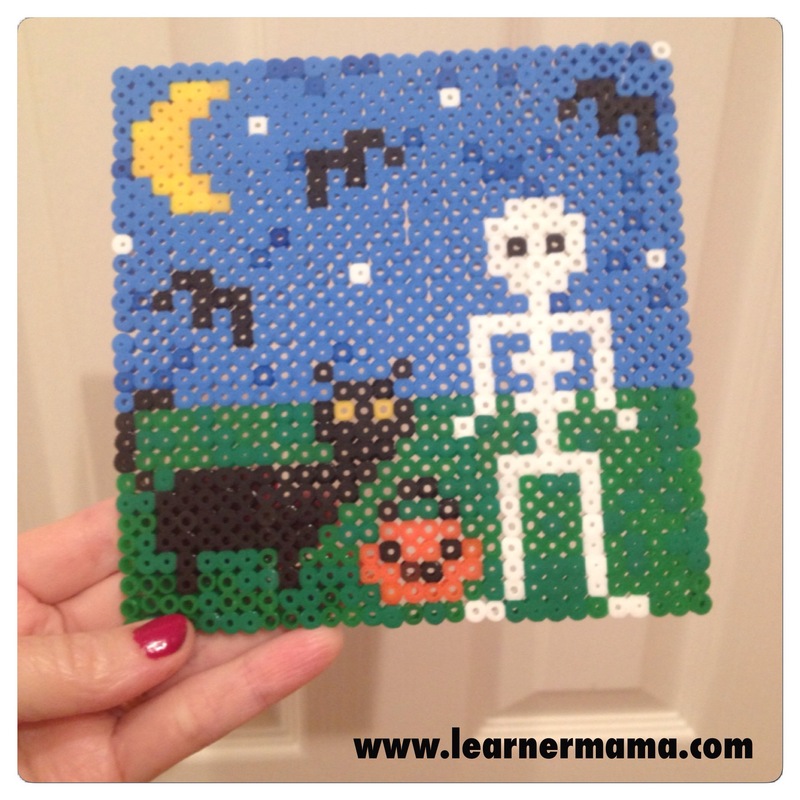 There are loads of designs for inspiration by just googling Halloween Hama bead designs. 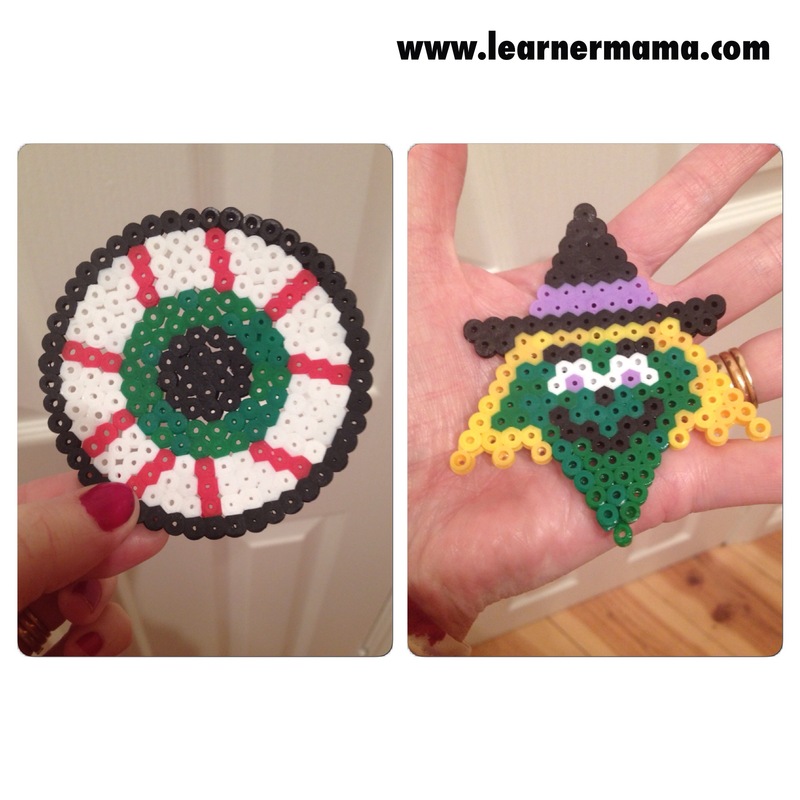 We chose a scary eye, a witch and a Halloween night scene. If ever there is a time of year to get the face paints out it is Halloween. From simple vampires, scary green witches to zombies and monsters. There are no limits when it comes to Halloween face painting. While you might be thinking of doing some face painting for Friday night, get in some practice during the break from school. Check out the Halloween themed recipes on the blog. Great fun and really simple. What can be any simpler then colouring. Now the days are getting cooler and the nights darker, it is time to grab out the colours and get busy printing Halloween colouring pages. 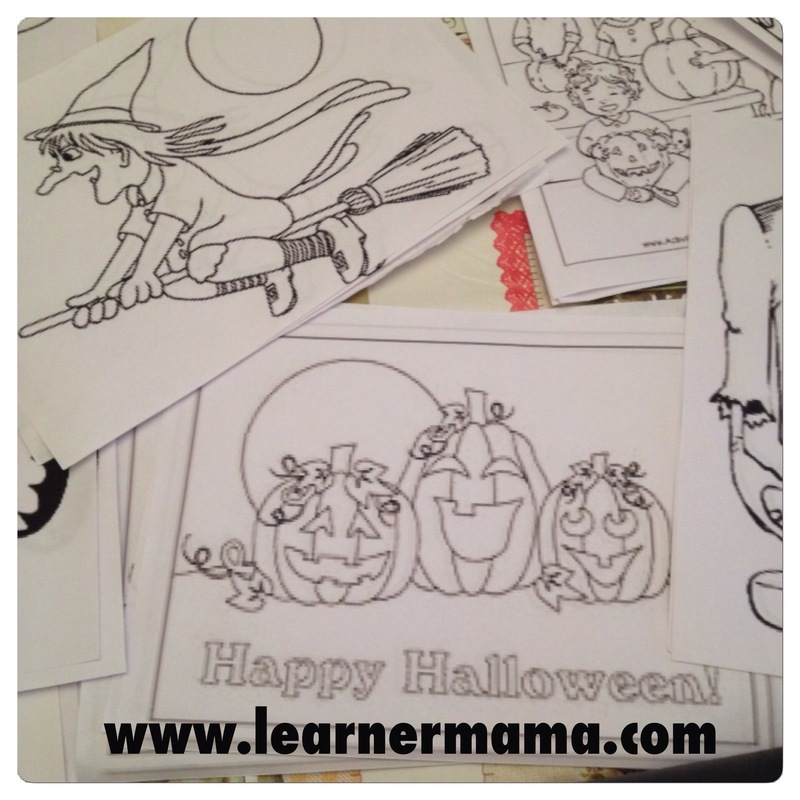 We printed out a selection from a simple Google search of Halloween colouring pages. If you want to get a little more creative than just colouring there are all sorts of arts and crafts that you could make with Halloween in mind. I am not the most creative of mums, but one fabulously creative mum is Sadhbh from Where wishes come from. 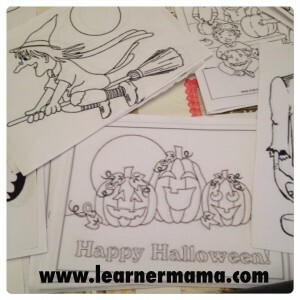 She has the most amazing selection of Halloween crafts on her blog. 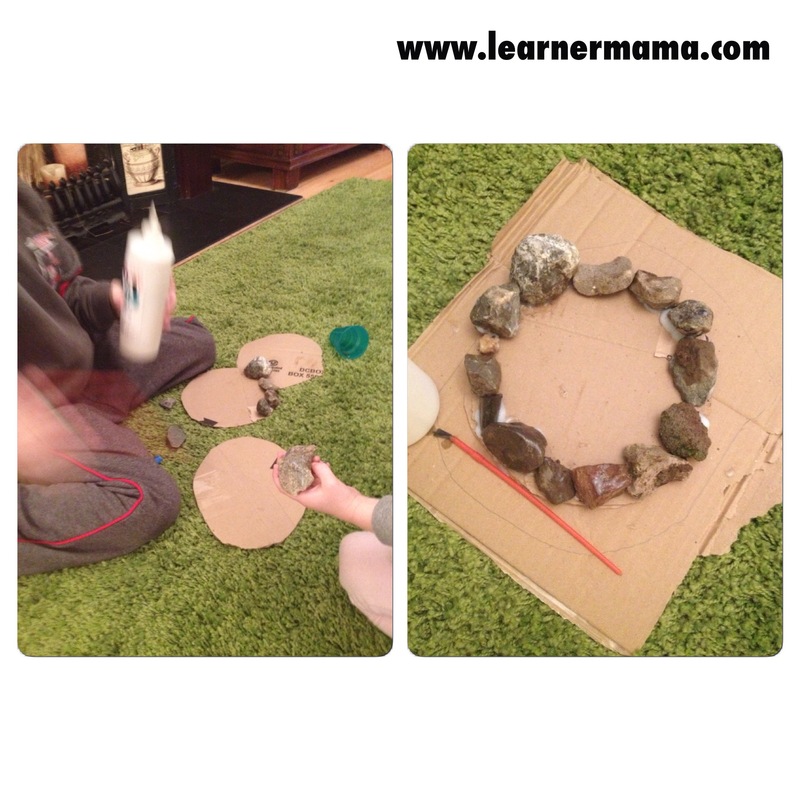 My two girls got busy with the glue, stones and crepe paper (on my rug no less) and gave Sadhbh’s bonfire craft a go recently and didn’t make a bad effort. It has become a tradition in our house that a few days before Halloween we pick up a pumpkin (I try to get them as late as possible to try to bag a bargain) and carve as scary a face as possible into it. The kids love to scoop out all the seeds and guts of the pumpkin and then Mammy is left drawing a face and cutting it out. This year my 3-year-old picked the design from here and I tried my best to replicate it. 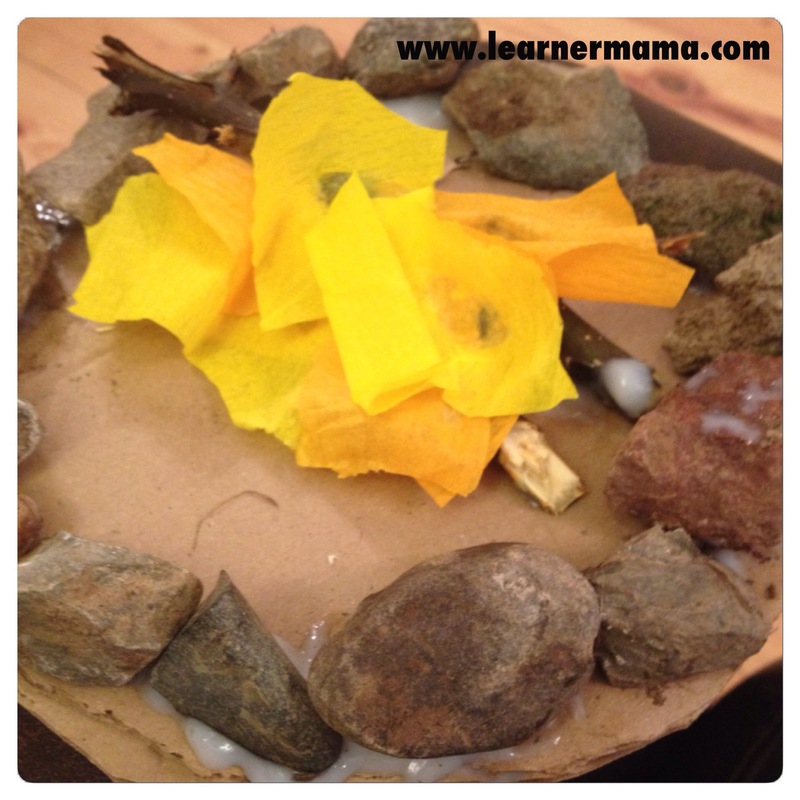 If you are a fan of Learner Mama on Facebook you would have seen the results. I was pretty impressed with the final result (even if I say so myself! ).